Bigger yields providing bigger profits for your business and investment partners. When using our 420 rotary hydroponics system over traditional growing systems, not only will your yields be bigger, sometimes 4 times the yield, you will also save in space, building costs, taxes, land costs as well as monthly electricity. The 420 Model has been designed to stand up to the demands of large scale grow operations. From the ground up, each garden gro tower has been built with the kiss method in mind from the get go for both ease of assembly and installation and operation for the end user, including quality gro tower Canadian manufacturing and durability. Benefits are achieved by saving at least 2/3 of your required space to achieve the same yields, saving electricity, (with a 12′ table to equal the same light to plant ratio, you would need 6 HID Lamps, whereas with the 420 Model Rotary Hydroponic System you only need 4 HID Lamps. The garden is a complete plug in and grow system that includes sensors and feed system. Designed for electricity, with adjustable diesel and solar facility operations availability. Each Gro Tower uses in total about 2.9 kw per day. Which includes pumps, fans, sensors, feeder system, and motor (240v- 20amp 50/60 HZ). No need to build tables, wire ballasts, or acquire outside professional electrical help. Our garden towers are on wheels and can easily be moved into any room or location, at any time. days = 864 kw per month. Multiplying that by the local hydro rate. FNG is committed to supporting our indigenous brothers and sisters, and their communities that most certainly includes putting the environment first. Our goal is to remain technologically advanced in the best interest of the environment for 7 Generations. Electrical power generation and consumption efficiencies is very important to every individual project. When generating electricity it is immediately consumed as soon as it is produced. Because a generator needs to operate at variable output levels it will not always be able to run within its most efficient range. In remote commercial operations and living communities, where there is no access to the grid and the main source of electricity is a fuel based generator, the effects of immediate consumption are ever more prevalent. Energy costs are directly proportional to the cost of delivering, storing, and burning fuels. However, when critical infrastructure relies on generators, efficiency isn’t necessarily top of mind. Stored energy shifts the paradigm from immediate consumption to stored energy. By storing energy, a generator does not need to operate 24/7 at variable output levels and can instead operate for fewer hours at much higher efficiencies. Similarly, with renewable sources like solar PV, a solar array can output maximum power where excess energy is stored during the day and consumed in the evenings. Stored energy shifts the paradigm from immediate consumption to stored energy, thus saving diesel fuel delivery, storing and burning costs, along with putting the environment first with every FNG project. FNG 4seasons Community Garden Farms address the energy needs of each and every indigenous community across Canada regardless of location and or isolated remoteness. Our Containerized Universal Battery platform allows for the integration of energy storage into any remote grid, micro-grid, or behind the meter application, and allows for the control of multiple power flows, increasing overall efficiency and reducing community energy costs. Q. The only limitation I can see is the strain height of the plants ……. as they get taller and move towards the light, if they were too large, would they not burn on the light? A. Our lightening system is cool controlled internally, with proven no plant damaging heat concerns, none. Q. What is maximum plant “height”? Q. Thinking of the space needed for working around the Model 420 Rotary Hydroponic Gro Tower ? A. You will need 3 to 4 feet on each side of grow tower to work with, trays are easily managed from both or the side of each Gro Tower. Q. Do you have any ideas on labour costs i.e. how many hours per day would a typical community garden farming worker need to spend caring for the plants on a daily basis? If we had 24 units in a single grow room, how many employees would be necessary to tend to the room, tend plants, checking quality, etc. Our facility on Parry Island is fairly large with 4 grow rooms where we won’t have more than 2 plant caretakers on at one time, 24/7, our gro towers do not require a lot of attention, and have been designed by an experienced professional with tons of grow experience that believes in the kiss method. Labor costs of each facility will vary depending on current regulations and your own growing experience and preferences. We have chosen a Perpetual Growing System, where fresh product is produced and available every 4 days on an on going basis. Q. As for the Gro Towers themselves, do they come pre-assembled or in a bunch of parts? The 420 Rotary Hydroponic Gro Tower is not shipped pre-assembled, however, it is very easily assembled with our pre-assembly “kiss” method video. Our Canadian Manufacturer is first class, ships world wide now, and between FNG and our Canadian Manufacturer, we will never leave you hanging. Arrangements can be made for First Nation Growers to provide an FNG staff member on site to help ensure that your team assembles and places each unit properly and that you are comfortable moving forward. Individual Grow Rooms can be assembled one at a time to properly ensure set up and operational guidelines are met. We pride ourselves in customer service and believe ours is 2nd to none. It will take a little time for the traditional “Master Grower” to wrap his mind around this new age, and innovative way to grow fresh produce, natural foods and medical marijauna as most “Master Growers” have typically grown in their own and often successful but very “traditional” manners over the years, primarily using their own established grow methods without stepping out into our “new age rotary hydroponic gro box”. The key here is if you want your operation to be very successful and not just successful in terms of quality and quantity in a manner that routinely has a positive effect on your corporate and shareholders bottom line, the truth is our Canadian Manufactured Rotary Hydroponic Gro Towers have “quietly” become the industry leaders within indoor, hydroponic operations, worldwide. Our state of the art, innovative, new age, Rotary Gro-Towers are proudly built by a Canadian Manufacturing Company that has quietly become the worldwide fresh foods indoor agricultural industry leader in rotary hydroponics, growing natural, fresh produce and other natural foods year round, in cold and or hot climate conditions. We have an allocated dedicated Corporate Support Division working along side First Nation Growers to advance Indigenous indoor Agriculture expertise, training, education, know-how, and experience to First Nation and Inuit communities though out North America. The FNG Community Garden Farm is a “Rotary” flood and drain system. Where growing plants in a rotary hydroponic garden results in uniform growth patterns thus helping make harvesting projections and scheduling easier for the grower. The compression resulting from rotation results in plants with more internodes (flowering sites) and better flavor profiles. Our automated control system monitors all aspects of the Garden Farming Gro System and automatically alerts when parameters are outside of configurable parameters. Active monitoring of Room Temperature, Humidity and CO2 levels and garden parameters for Water Temperature, Water Level, PH and TDS level. Available on our Model 420 line only, providing a single view into your entire operation with auto-correct features to ensure optimal settings at all times. Plants are inserted into Rock-wool type cubes, which are secured in the “Quick Drain Trays”. The trays are then placed inside a circular wheel, the garden is motorized and the trays are revolved 24 hours a day around 2 center-fixed HID lamps. It takes approximately one hour for the trays to complete one revolution. Two reservoirs are supplied, one top and bottom, a pump is placed in the bottom reservoir and when switched on, fills the top reservoir to desired depth. “Quick drain Trays” are then revolved through the nutrient/water mixture, feeding the plants. Once all plants have been fed, the pump is switched off, letting the nutrient/water mix drain back into the main reservoir. Most plants will need to be fed a minimum of once a day, usually when the lamps are first turned on. Depending on the type and size of the plants being grown, a second feeding might be required. Plants are fed a nutrient/water mixture. We can help you and your team here. Our rotary gro towers system can be stacked 2 and 3 high for optimum space use, ensuring maximum space usage as well as quality quantity yields to satisfy both facility partners and investors as well as future community customers. In terms of trimming and general plant care, both are at a minimum using our Rotary Gro Tower system, as you know, Medicinal Operations are highly regulated, where waste is both managed and controlled, where our system exudes minimal trimming and or plant care. Again, the compression resulting from the rotation results in plants with more internodes (flowering sites) and better flavor profiles, with less trimming giving result patterns of routinely higher yields. If you enlarge your rooms to 26 x 40 x 12, the units can be double stacked to a capacity of 24 per room. This will give a yield of 165 to 192 lbs., per grow room depending on your growers experience, per growth cycle which various with different strains. In comparison to a traditional growing table with 254 plants @ 85 grams per plant yielding 40 to 47 lbs. Yield variations will depend on your Mater Grower’s experience. Our indoor rotary hydroponic system triples your yields, in the same growth period, of the same said strains, in comparison to traditional growing methods, using the same space, in the same said growth cycle time frame. The 420 Model Gro Tower unit is 48″ wide by 96″ long and 5’ 4” inches high. Approximately 32 sq. ft. The grow area is 6’ by 12’ = 72 sq ft. If the wheel were to be broken down, it would be equivalent to a 12′ long table. Calculated by width, you are saving an extra 1/3 in the space. Q. Curious on pricing of the units including the full active monitoring package. Pricing varies with each order, with a number of variances that are taken into consideration for the specific needs of each operation and facility, that include the number of Gro Tower units required, installation of both Gro Tower and Historical & Growth Monitor units, ongoing monitoring, training and development as well as pre-care -after-care positioning. FNG has preferred Indigenous Distributor Pricing available. Rotary Gro Towers need assembly upon delivery, which is made easily following our FNG “kiss” method assembly video. We can provide an FNG staff member to visit on site to help ensure that your team has assembled each unit properly and that you are comfortable, when requested. Once assembled, our Rotary Hydroponic 420 Gro units are ready to plug into immediately begin production. Prices are quoted in Canadian dollars and subject to USA exchange rates. Delivery costs, taxes and assembly set-up & costs are not included. Our Manufacture Suggested Retail Price (MSRP) for each Gro Tower unit retails between $12,500.00 and $14,500.00 depending on orders, installation, consistent growth monitoring, required training and development. Historical Growth Monitors can carrying an additional cost of $1,750.00, again, depending on facility needs for consistent operations monitoring. Hydroponics is a form of gardening/farming that does not need soil in the traditional sense. Instead, all the nutrients that a plant needs to grow and thrive are delivered directly to the root zone via the watering system. “Soil” is needed in the form of an inert medium, like Perlite, Rockwool, Clay pebbles or Coco Fibre to support the root system. The nutrients can be derived from either inorganic or organic mineral salts. “Hydroponics” is derived from the Greek “hydro” meaning water and “ponis” meaning work. The literal translation of hydroponics is “water working”. Water is the key in any hydroponics system and it is therefore extremely important that the water supply used is of good quality. What can you grow hydroponically? Anything that you would consider growing in a conventional garden can be grown hydroponically. Once you have worked out what you want to grow, a system can be designed accordingly. It is important to note that for crops like root vegetables you will need to have a media based system with a deep enough container to support the development of the root vegetables. (Nutrient Film Technique), Flood and Drain and other basic recirculating as well as aeroponic systems, can be used. to grow more plants in smaller area than conventional farming. The most significant difference, particularly in this period of water restrictions and drought is that hydroponically grown plants use water more efficiently than soil grown plants. As an example, in a commercial situation, to produce $100 worth of lettuce a conventional farm requires the use of 38,000 litres of water, in a rotary hydroponic garden farm, roughly 250 litres is used. Rotary Hydroponic Garden Farming has the potential to be a more sustainable approach to agriculture then conventional farming. It not only maximizes crop production in a smaller area and uses less water it also uses none to fewer pesticides and has little or no need for herbicides. Pests and weeds are not a problem in a hydroponic system if it is set up and managed properly. IPM (Integrated Pest Management) systems are becoming more widely used by commercial and hobby growers alike. IPM systems incorporate the use of beneficial bugs or predators and non-toxic sprays like Aza Max and Eco Oil that are BFA Certified Inputs as part of a program to combat and treat unwanted insects like Spider Mite, Fungas Gnats, White Fly, Aphids and Mealy Bugs to name a few. Having said this, perhaps the greatest advantage to growing hydroponically is the potential to produce commercial quantities of fresh nutritious food for a continually growing population on land that has and will become nutrient deficient and pesticide rich due to intensive conventional farming practices. contradiction of terms since the whole idea of growing hydroponically is that you avoid all the pitfalls of organics in the growing system, like pathogens, diseases, pests etc as well as having less control of nutrient input. There are those that argue that you cannot get the same level of nutrient availability in an organic system as you can in a true hydroponics system and there are those that argue that organics in hydroponic gardening is the only way forward. Growing methods have become more dynamic & fluid in their practical applications as more is understood about the whole process of plant growth and it is no longer true to say that one method is necessarily exclusive and better than another. It is therefore possible to use aspects of organic and biodynamic principles in a hydroponics system. The most common aspects used are biological controls. This includes IPM (Integrated Pest Management). IPM encourages the use of natural predators to fight pests as opposed to chemical sprays. This principle takes into consideration the role insects play in the natural world. Another biological control used is the addition of beneficial microbes and enzymes to the growing medium. These additives are designed to encourage micro life in the medium as a means of promoting a healthy root system and of course a much healthier and therefore productive plant. This is not a sterile system, in that no harsh sterilizing agents like chlorine or hydrogen peroxide are used to kill all pathogens. Instead the natural process is considered, whereby there can exist beneficial as well as harmful micro-organisms in the growing system. The idea is that an environment is created where the beneficial micro-organisms outnumber the harmful, thus allowing the vigorous growth & development of the plants without the need for fungicides or harsh sterilizing agents. The use of enzymes and fungi such as Trichoderma in the growing medium has become more common as their benefits become more widely understood. There are also some certified organic nutrients on the market. The strongest formulation designed for the hobby market is called Bio Canna. This is made in Holland. Another is called Bio Juice. This is made in Australia and is BFA Certified. Alternatively, you can use worm castings, liquid seaweed depending on the concentration liquid fish fertilizers like Amino Gro. As long as the formula has a balance of all Macro & Trace elements it is safe to use. “Nutrient solution” is a term used to describe the dissolved fertilizer in water. Nutrients are available in powder or liquid form. Liquids are more popular than powders because they are easier to use. There are many brands of liquid nutrient on the market today and they should all have the following essential breakdown of Macro & Trace elements. The Macro Elements are the main building blocks of nutrition for plants to thrive. They are essential elements and should be present in greater amounts than the Trace elements. These elements should be in an all round fertilizer be it liquid or powder. The concentrations of Nitrogen Potassium and Phosphorous will vary depending on the crop. If you are growing a predominantly flowering or fruiting crop you should consider an increase in phosphorus and potassium from the start of flower / blossom formation. What is PPM, CF & EC? There are three scales commonly used for measuring nutrient solutions in a Hydroponic system. All three scales refer to density of the test solution once nutrient has been added. They do not provide an analysis of any macro or trace elements but do provide a measure of overall nutrient strength. Routinely measuring nutrient strength is very important. Without this measurement it is impossible to know how much or how little nutrient to feed plants. Nutrient requirements vary depending on, not only the type of plants that are grown but also their stage of development. For example Tomatoes and Capsicums require more “food” or nutrient than lettuces and seedlings need less food than maturing plants. EC (Electrical Conductivity) is measured with a conductivity meter. This meter passes week electrical current between two electrodes. The strength of the solution determines the amount of electricity the solution conducts. Essentially an EC meter measures the ability of an aqueous solution to carry an electric current. EC is a measure of electrical charge between two points in milli-siemens (mS/cm) or micro-siemens (μS/cm). PPM (Parts Per Million) measures how many parts of a fertilizer are in every million parts of water. CF (Conductivity Factor) relates to EC. It is simply a measure of EC multiplied by 10. In order to measure in either of these scales you will need to invest in a meter. The most common and user friendly meter on the market is known as a Bluelab Truncheon. It will give a reading in all three scales and does not require calibration. A comparison chart is included below for your information so you can see the relation between all three scales. pH is the measure of dissolved hydrogen in a solution. The literal meaning is “parts of hydrogen”. The scale ranges from 0-14 where 0 is the most acidic and 14 is the most alkaline and 7 is neutral. In a hydroponic system it is important to monitor the pH of the nutrient solution and adjust it accordingly if it is out of the ideal range. pH determines the ability of the plant to absorb the Macro & Trace elements in the nutrient solution. This is also known as “nutrient availability”. The correct pH allows for the best absorption of all available macro and trace elements in the nutrient solution. some older hydroponic gardening texts. pH is measured with a pH test kit or a pH meter. Test kits are usually made up of a liquid and a vial. To test a nutrient solution you place a small amount of the nutrient solution in the vial and add a drop of the liquid. The colour of the test solution will change and can be checked against a colour chart to determine the pH. A pH meter will give a digital read out of the test solution. Meters are easy to use and inexpensive. They require calibration periodically to maintain their accuracy. There are numerous pH meters available on the market today. How do you adjust pH? Once you have taken a pH reading you either lower or raise the pH with acidic or alkaline concentrate solutions. To lower pH, you will need something acidic, this is usually phosphoric acid. To raise the pH you will need to use potassium hydroxide which is an alkaline solution. Nitric acid is used by some commercial hydroponic growers to lower pH, but it is very volatile and is not recommended for the home or hobby grower. Phosphoric acid has become the standard for lowering pH. Because of its high concentration, only very small amounts are needed to lower pH. It is important not to use too much phosphoric acid, as this can affect the nutrient composition. There are also some organic acids on the market. Canna has developed Organic Acid for the hobby grower, and there is also a concentrated Acetic Acid made by Bloom Nutrients. The main problem with using Acetic Acid is that it may not remain stable in the nutrient solution, especially in hard water. Is the pH in a hydroponic system the same as pH in soil? It is a common mistake to assume that the pH of plants is the same in a soil medium as it is in a hydroponic medium ? This is not the case. The pH requirements in a hydroponic system are skewed in the acidic range. As an example, the pH at which most nutrients are most available in a hydroponic system is 5.5 whereas it is 6.5 in soil. What is the ideal nutrient & pH of a hydroponic system? The following charts below is a rough guide and it should be remembered that nutrient requirements could vary depending on environment. If you cannot adequately control the temperature of both the growing area and the nutrient solution being fed to the plants you will need to adjust the nutrient strength accordingly. For example, in times of extreme heat a lower nutrient strength is recommended. What are the functions of all essential plant Elements? Forms up to 50% of the dry weight of a plant. A constituent of all organic compounds that are found in plants. Part of all organic compounds that of which carbon is a constituent. Comprises 6% of dry weight of the plant and is critical in the cation exchange in plant-soil/medium relationship. A major constituent of plant structure when combined with Oxygen to create water. Plays a critical role in plant growth. Oxygen is about 88% of the composition of water. Plants obtain the oxygen they need through the stomata on the leaves, through the roots via the water and through the process of photosynthesis. Involved in Anion exchange between the roots and surrounding medium. Plays vital role in the formation of protein. Needed in highest concentrations at growing points such as young leaves, root tips and fruits and flowers. Mobile element so deficiency symptoms appear first in older leaves. Important element for turning starch into simple sugars that can be metabolized by the plant. Deficiency inhibits fruiting. Phosphate (PO4) is concentrated in seeds, fruits and merismetic tissue. Mobile element so deficiency symptoms appear first in older leaves. Merismetic tissue , buds, young leaves and root tips are rich in potassium. It is a mobile element so it can be found all over the plant but is concentrated in areas of high physiological activity. Mobile element so deficiency symptoms appear first in older leaves. Helps to reduce toxic effects of other mineral salts. Aids in protein synthesis. It is a vital element and is the basis upon which the cell structure is built. No calcium equals no growth at all. Immobile element so signs of deficiency appear on the tips of the shoots & roots. Essential for the formation of chlorophyll and as a carrier of phosphorus. Mobile element so deficiency symptoms appear first in older leaves. Building block for plant protein, amino acids & coenzyme A, vitamins thiamine & biotine. Improves chlorophyll supply. Important for health of root system. Affects nitrogen assimilation. Immobile element so deficiency symptoms appear in younger leaves first. Acts as an oxygen carrier and enzyme catalyst. Critical for the production of chlorophyll, protein synthesis and respiration. Balances Manganese (Mn) and prevents manganese toxicity. Under alkaline conditions Iron can combine with phosphates, carbonates and hydroxyl ions so it is important to maintain the correct pH fro maximum iron availability. Immobile element so deficiency symptoms appear in younger leaves first. Influences ratio in which anions and cations are taken in by the plant. Enhances the uptake of cations and limits the uptake of anions. Influences carbohydrate and nitrogen metabolism. Helps with plants use of calcium. Essential element in nitrogen and carbohydrates metabolism Immobile element so deficiency symptoms appear in younger leaves first. A catalyst. Involved in carbohydrate metabolism and chlorophyll formation. Accelerates plant growth in conjunction with nitrogen. Highest concentrations occur in the leaves. Immobile element so deficiency symptoms appear in younger leaves first. Utilization of Zinc by the plant is directly related to the amount of light available to the plant. The more light available the greater the uptake of zinc resulting in higher metabolic activity. It is an enzyme activator and a component of indoleacetic acid, a plant growth hormone. Mobile element so deficiency symptoms appear first in older leaves. Influences disease resistance of plants. Syntheses chlorophyll. Increases enzyme activity. Immobile element so deficiency symptoms appear in younger leaves first. Converts Nitrogen gas from the air into soluble nitrogen compounds by nitrogen fixing micro-organisms. Essential for conversion pf nitrate to proteins. Immobile element so deficiency symptoms appear in younger leaves first. Functions as an enzyme activator in the process releasing oxygen from water. Critical factor in drought resistance of plants because of its affect on tissue water content. What are the symptoms of nutrient deficiencies and toxicities? Symptoms appear first in the older leaves. Leaves pale green. Lower/older leaves are yellow drying out to light brown colour due to lack of chlorophyll. Plants mature earlier with reduced yield. Growth is stunted. Leaves are dark green and soft. Plant is bushy with restricted root system. Flowering is delayed. Symptoms appear first in older leaves. Older leaves purpling sometimes bluish grey and sometimes yellowing. Plants are stunted and slow growing. Roots can be yellow/brown in colour. Leaf curls. Causes zinc and iron deficiency. Older leaves yellowing. Leaf tips become yellow/brownish followed by necrotic spots. Leaf abscission develops. Mature leaves appear crushed/wrinkled. In extreme cases the leaf internodes will harden and bright dry spots may appear on leaves or fruit. Symptoms appear first in older leaves. Necrosis (i.e. yellowing to brown spots ) of older leaves starting at tips and between veins. Rarely occurs because plants do not generally over absorb potassium, however too much potassium can cause deficiencies in other elements like magnesium, iron, zinc and manganese. Symptoms appear first in younger leaves. Causes blossom end rot of Tomatoes & capsicums, tip burn in lettuce & cabbage, internal brown spots in potatoes. Deficiencies first appear growing point and in the fruit. Tips of shoots and roots turn brown and die. No direct symptoms, but toxic levels of calcium will have an effect on iron, potassium or magnesium levels. Symptoms appear first in older leaves. Inter veinal chlorosis. Loss of green colour. Dead brown margins and spots on leaves. Combined with strong light, a Mg deficient plant will look withered. Premature leaf drop. Symptoms appear first in the younger leaves. Symptoms slow to develop and resemble nitrogen deficiency. Plants stunted, light green & woody. Internodes longer then usual. Yellowing (chlorosis) appears in older leaves. General hardening of plant. Leaves bluish-green. Stems become hard & leaves are smaller. Leaves may curl inward & become pimpled. Symptoms appear first in the younger leaves. Growing tips turn yellow, veins remain green (inter-veinal chlorosis). Occurs in younger leaves. Symptoms appear first in the younger leaves. Growing points die. Leaves mottle and flower stems roughen. Buds die, Leaves become yellow/brown and curl inward. Leaf tips become yellow then scorched. Leaves drop. Symptoms appear first in the younger leaves. Inter-veinal chlorosis, stunted growth. Curling in of leaves. Death of the growing point. Scorched leaf margins. Brown spots on older leaves. Reduction in growth. Occurs in conditions of extreme heat and intense light. Younger leaves show first signs and are abnormally mottles with chlorotic spots and upward curl. Internode length and leaf size are reduced. Manifests as Phosphorous or iron deficiency but is uncommon. Young leaf chlorosis. Stunted growth. Green blue leaves. Burned margins. Stunted growth. Symptoms of iron chlorosis. Reduced branching. Thickening and darkening of rootlets. Immobile element. Symptoms progress from older leaves to younger leaves. Leaves show a pale green to yellow inter-veinal mottling. Can be confused with nitrogen deficiency. Not common. Tomato leaves can turn a golden yellow. Extremely uncommon in hydroponic systems. Affects root structure & metabolism. Leaves are small and dull green. Plant becomes woody. What treatments are recommended when there is a nutrient deficiency or toxicity? First check the nutrient being used contains an adequate mix of all Macro & Trace Elements. Any well known nutrient manufacturer will have a well formulated nutrient. A deficiency in any nutrient element will occur for a number of reasons, the two most common are a) the nutrient strength is insufficient (i.e. not strong enough) and b) the ph is incorrect. Other environmental factors including temperature in the growing area as well as the water can affect nutrient uptake. As a gardener it is important to provide the best growing environment for your plants, any deviation from this can produce deficiency or toxicity symptoms. To treat for toxic levels of any nutrient element, flush with pH adjusted fresh water and then adjust nutrient to correct EC/cF. Check that nutrient strength (EC/cF) and pH are at the right level. As an average the EC should range from 1.2 in the early stages of growth gradually in creasing to 2.0EC and a maximum of 2.4 EC for flowering/fruiting crops in the middle of their blooming stage, dropping back to 2.0 ec closer to harvest. Optimum pH is 5.5. At this range the plants can absorb the most nutrient elements in a hydroponic system. Check watering system, making sure there is neither too much nor too little water being fed to plants. If the medium is kept too wet it can inhibit root development and contribute to overall ill health and potential root rot of the plant. The medium in any hydroponic system needs to be kept moist but not saturated so allow ample time between feeds for the medium to begin to dry out before you feed again. Arguably, the very best in today’s indoor hydroponics, innovative, simple to use, providing great results, both in quality and high end yields, maximizing square footage. When using our 420 rotary hydroponic system over traditional growing systems, not only will your yields be bigger, sometimes 3 and 4 times the yield within the same growth time lines as traditional table growing, you will also save in space building costs as well as electricity. The 420 Model has been designed to stand up to the demands of large scale grow operations. From the ground up, each garden gro tower has been built with the kiss method in mind from the get go for both ease of assembly and installation and operation for the end user, including gro tower quality Canadian manufacturing and durability. Our system significantly reduces the costs associated with conventional hydroponics including facility construction, building size and maintenance costs; utility costs; atmospheric, water and nutrient costs; and pest/disease control costs. Optional software modules enable monitoring of all facets of production while maintaining the highest standards of both quality and security. Our automated control system monitors all aspects of the Garden Farming Gro System and automatically alerts when parameters are outside of configurable parameters. Active monitoring of Room Temperature, Humidity and CO2 levels and garden parameters for Water Temperature, Water Level, PH and TDS level. Available on our Model 420 line only, providing a single view into your entire operation with auto-correct features to ensure optimal success settings at all times. Our rotary gro towers system can be stacked 2 and 3 high for optimum space use, ensuring maximum space usage as well as quality quantity yields to satisfy both partners and project investors. In terms of trimming and general plant care, both are at a minimum using our Rotary Gro Tower system, as you know,Medicinal Operations are highly regulated, where waste is both managed and controlled, where our system exudes minimal trimming and or plant care. Again, the compression resulting from the rotation results in plants with more internodes (flowering sites) and better flavor profiles, with less trimming giving result patterns of routinely higher yields. What are the symptoms and treatments for Red Spider Mite? Red Spider Mite are considered a sucking insect. They are usually found on the underside of the leaves and can be black in colour. Symptoms: White spots on leaves. Webbing. General yellowing of leaves. Predators such as Persimilis and Typhlodoris are reasonably effective but need to be used in conjunction with a spray. Systemic sprays like Mavrik and Malathon are available but it is extremely important to follow all safety procedures on these products. An effective but safe spray is called Aza MaxTM. It has been certified as an organic input by BFA and treats Whitefly, Fungas Gnats as well as spider mite (Dilution Rates) Aza Max is an anti-feedant. It acts to break the breeding cycle so pest numbers are reduced gradually. The active ingredient is Azadachtrin which is derived from Neem Oil which is in turn extracted from the Neem Tree. Eco-Oil is another spray widely used commercially as part of IPM systems and has becoming more widely used by the hobbyist. This is also BFA Certified and should be used as a preventative treatment if the growing area is prone to getting spider-mite. What are the symptoms & treatment for Sciaridfly (Fungus Gnats)? Sciaridfly, also known as fungus gnats, are small brown/black flies that are localized around the top of the medium. They lay eggs around the fine root hairs of the plants. The eggs hatch and the larvae survive by eating the fine root hairs. Left untreated the plant will eventually die. Symptoms: Small black flies located on top of the medium. Starts to show signs of nutrient deficiencies & root rot i.e. yellowing of leaves, and brown spots. The best treatment for sciaridfly (fungus gnats) is a predator called Hypoaspis. This is a natural predator of not only fungus gnats but also Western Flower Thrips. These predators are available to order and come in a 1 litre peat mix. Other treatments involve drenching the medium. Aza Max is one of the best drenches on the market because it is not only effective in eradicating the scaridfly larvae but does not cause any stress or damage to the root system. As the saying goes, prevention is better than cure, so to minimize the risk of encouraging Sciaridfly into your growing area, make sure the medium is not kept too wet. The ideal solution is to use Hypoaspis from an early stage as both a preventative and treatment. What are the symptoms & treatment for Whitefly? Whitefly, as the name suggests are small white flies. Generally no more than 1/4cm long they are fairly harmless when in small numbers. A heavy infestation can affect the look and quality of the crop. White-fly leaves a sticky residue on the leaves. It can also be treated with sprays like Mavrik. What are the symptoms & treatment for Powdery Mildew/Grey Mould? Poor ventilation and high humidity are two of the main causes of mould in a greenhouse/grow room. Prevention is better then any cure. Ensure that your growing area has adequate ventilation. Treatment with a diluted solution of Silica used as a spray can help control mould. Powdery Mildew or Grey Mould is very easy to spot. The main symptoms are small grey or white fury patches on the leaves. It can also affect the stem of the plant. What are the symptoms & treatment for Pythium/Root Rot? Pythium thrives in a root zone deprived of oxygen. This is generally caused by over-watering. Pythium discolours the roots. The discolouration progresses from light to dark brown. Eventually the roots will become rotten. The symptoms can also be seen in the leaves. Spots and discolouration turn to necrosis of the leaves and in severe cases the stem can also be affected. It is important to maintain hygiene in the growing environment, and as with all plant diseases prevention is better than cure. Using products like Rhizotonic and Trichoderma in the growing medium help to strengthen the immune system of the plants making them more resistant to infection. Treating pythium is difficult. Systemic fungicides are also useful in controlling Pythium. What are the symptoms & treatment for Collar-rot? The symptoms are a browning on the base of the plant and eventual rot. Collar or Stem rot is generally caused by the base of the plant being buried in the medium and the medium remaining constantly wet. Preventing this is simple. Do not bury the base of the plant in the medium. Secondly do not over water. What are the symptoms & treatment for Botrytis? Botrytis is also known as bud rot. It affects the flowers and is generally caused by high humidity. What is the Ideal light spectrum for plant growth? Ideally plants will grow in the range of 400-700 nm. This covers a range of the visible light spectrum from blue to red. There are different types of artificial lighting on the market these range from fluorescent to HID lighting and each has their merits. Typically HID lighting is used more widely than fluorescent lighting, particularly if the growing area is large. Plants do not see light the same way we do. Plant available light is commonly referred to as PAR Watts. PAR stands for Photo synthetically Active Radiation. As the name suggests this corresponds to light that most encourages Photosynthesis. Maximum photosynthesis occurs at two peak wavelengths, 435nm (blue) and 675nm (red). As human beings, we judge light by its brightness, or lumen intensity but the brightest lamp is not necessarily the best for plant growth. The lumen output does, however, provide a guide as to the effectiveness of the lamp. What are Kelvin and CRI? Kelvin is a measure of colour temperature. Light output in the range of 380-500nm is considered the daylight spectrum. It is translated as 6500K. This colour temperature is the closest to natural sunlight. CRI is the acronym for Colour Rendition Index. CRI Is a percentage value of the lamps proximity to natural sunlight. For example, a lamp with a CRI of 65 means that it is 65% close to sunlight. Metal Halide lamps are generally in this range of CRI. High Pressure Sodium Lamps (HPS Lamps) generally have a CRI of 25 to 28, meaning that they are only 25 to 28% as close to sunlight. What types of Fluorescent lights are there and are they a suitable plant light? This is a relatively new technology to though they are very popular in Europe & North America. T5 technology offers 400w MH light output with only half the amount of wattage (approx. 216w). Lamps are supplied for either growing or flowering crops. That is, 6400K spectrum & 2700K spectrum. They are more efficient and offer greater life span than standard fluorescent lamps. There are a number of compact fluorescent lamps on the market. The most well known is the “Spectrum” brand. This is a 130watt compact fluoro that emits approximately 12000 lumens. These lamps are available in 6400Kelvin and 2700Kelvin types. This equates to a “grow” spectrum and a “flower” spectrum. These lamps do not need a ballast. They plug into a standard 10amp power point. What are High Intensity Discharge (HID) lamps? There are two main types of HID lamps commonly used as supplementary lighting in either a grow-room or greenhouse. They are Metal Halide (MH) lamps and High Pressure Sodium (HPS) Lamps. Both of these lamp types require the use of an external control gear (ballast) to be ignited. HID lamps were most commonly used for street and warehouse lighting but they have been adapted for horticultural use, particularly in environments where natural sunlight is insufficient. What are MH (Metal Halide) lamps? Metal Halide lamps are popular because they have a low colour temperature. Generally MH lamps have a colour temperature of 6500Kelvin. This means that they are a cooler running temperature and also emit a blue-white light that is a closer imitation of sunlight then HPS lamps. This closeness to natural sunlight is expressed as a CRI (Colour Rendering Index). The CRI of most MH lamps is in the range of 60-70. This means that they are 60-70% close to natural sunlight. While this CRI is quite high, MH lamps do not have a very high lumen output. As a result they do not last as long as HPS lamps. What are HPS (High Pressure Sodium) Lamps? HPS lamps have do not have as high a CRI as MH lamps but they make up for this by having a higher lumen output and a longer life. The CRI (Colour Rendering Index) of HPS lamps is in the range of 25-28. So, at best a HPS lamp is 28% close to natural sunlight. The colour temperature is around 2700K. What Lamps are best to use? The best lighting set up should include a balance of both light spectrums. This can be in the form of having both MH and HPS lamps or in having lamps that are designed to provide a balanced spectrum. MH lamps will provide light in the “blue” range (435nm) and HPS lamps will provide light in the “red” range (675nm). There are, however some lamps on the market like the Phillips Son-T-Agro (400w HPS) and Son-T Plus (600w HPS) that have been colour corrected so they provide some light on the “blue” range. This makes them an all round lamp, providing the long life associated with higher lumen output and adequate colour range for plant growth and flowering. MH Lamps can also be “all round” lamps. The Eye MF1000BXU is a frosted MH lamp. It has all the benefits of the “blue” range of light but it also has 20% more “red” then the standard clear MH lamps. Most frosted MH lamps provide this extra colour in the “red” range making them somewhat better for flowering as well as growing crops. The choice as to which is best to use comes down to area and cost. If you are starting a new system it is worth investing in 400w or 600w HPS lighting. How important is air flow? Air flow is arguably one of the most important aspects of a grow room or greenhouse. Not only does it deter mould and fungi developing, but it also provides much needed CO2 for the plants overall growth and development. A well ventilated room will yield more then a room with no ventilation. The only time this is not the case is if the room is controlled with a complete climate control system. In such a room, air-conditioners and CO2 injection system are essential. CO2 is then introduced not by airflow but through a designated injection system. It is important to note that CO2 injection works best in a completely controlled climate. To understand why ventilation is important consider the goal of setting up a greenhouse or grow room. The aim is to mimic the outside environment in a controlled and therefore higher yielding area. An oscillating fan is necessary for adequate air movement in the room itself. It helps to move warm air in winter and cool air in summer evenly through the plant canopy. Oscillating fans help maintain consistent room temperatures. Thermostats are a very useful tool for controlling both cooling and heating devices in a grow-room or greenhouse. If you want to get the best out of your ventilation and heating system thermostats are a necessary investment. Do I need Carbon Filters & Fans? If you are an indoor gardener you may find the need to invest in some kind of air filtration system. The most common systems are carbon filters. Carbon Filters offer the best air filtration system on the market. Having said this, a carbon filter is only as good as the fan with which it is used. Centrifugal fans are the best types of fans to use with carbon filters. They are designed to be used in high pressure applications, be that drawing through long lengths of duct or drawing through a carbon filter. Carbon filters are usually of solid heavy construction. One of the better brands on the market is made in Holland and are designed to be long lasting Ventilation and Air Filtration. High humidity can affect the longevity of carbon filters as well as the overall yield of the crop so it is important to have good airflow for the sake of the carbon filter and for the overall health of the crop. How important is Humidity & Temperature? It is extremely important to monitor & control relative humidity around a hydroponic crop. Relative humidity should be in the range of 50-70% and temperature should be around 30-33degrees Celsius during the day and 18-20degrees at night. Extremes in temperature should be avoided. Temperatures above 35 degrees stop plant development. High humidity increases the risk of moulds and mildew developing as well as encouraging an irresistible habitat for pests like spider mite & scaridfly. High humidity also reduces transpiration, which in turn reduces circulation in the plant of essential elements like calcium. Low humidity, or dry air, can decrease the likelihood of fungal diseases but it also increases transpiration in the plants which can in turn dry the leaves and growing points out excessively. This can produce lack of pollination in tomato crops because the growing point dies. This of course affects the overall harvest of the crop. Increased transpiration in the leaves also affects the fruit already on the plant. Fruit can die or flowers rot because less water is being channelled to the fruit/flower. What is the relationship between Photosynthesis & CO2? Carbon dioxide plays a vital role in the process of photosynthesis. Photosynthesis describes the chemical plant process where the carbon from the carbon dioxide, water and light combine to make sugars. These sugars are the basis for carbohydrates, lignin, proteins, vitamins enzymes and hormones found in plants. In this process Oxygen is released back into the atmosphere.Photosynthesis takes place in plant leaves and specifically in “chloroplasts”. The main parts of a leaf are the upper & lower epidermis, the mesophyll cells, the vascular bundles (veins) and the stomata. The stomata are pore-like openings on the under side of the leaf. They allow air transfer, i.e. transfer of CO2 and O2, CO2 into the plant and O2 out of the plant. The Mesophyll cells have chloroplasts and it is in these cells that photosynthesis occurs. Mesophyll cells absorb the carbon dioxide transferred from the surrounding air by the stomata. Carbon combines with water to create sugars that form the basis of plant growth. The by product of this process is Oxygen and this is released back into the atmosphere. 6CO2 + 6H2O (+ light energy) -? C6H12O6 + 6O2 this translates as 6 carbon molecules and 6 water molecules when exposed to light, turn into one sugar molecule and 6 oxygen molecules. Chloroplasts are light reactive meaning that they respond to light. CO2, for plants with leaves can only be absorbed during daylight hours. Some plants like Cacti have adapted to absorb CO2 at night. As you can appreciate if conditions are extremely hot and dry with minimal airflow CO2 absorption is lessened. CO2 is one of the most critical elements in a plants development. CO2 is directly related to the metabolism of the plant and as such an increase of CO2 in the growing area will increase growth rates and ultimately yield. Using CO2 in a greenhouse is not only viable but ultimately environmentally sustainable. A greenhouse in Holland has been built in an industrialized area and harnesses CO2 emitted by local factories into its greenhouse growing area. This kind of forward thinking and ingenuity provides one solution to excess CO2 production in the world today and may be part of the solution for global warming. For the hobby grower or those not living near industrialized areas, CO2 systems can be purchased. The most basic CO2 system consists of attaching a regulator to a gas bottle which can then be set to a timer. The optimum CO2 level is 1500ppm. Usually the ambient CO2 levels are about 300ppm. How do you take Cuttings? Taking cuttings from plants is a viable way of propagating plant strains, without the expense of buying seeds. You should always take your cutting from the healthiest plants and from the youngest leaf set. Cuttings need only have 2-3 leaves on them for best success. For best results you should use some kind of propagation/seedling box and a heating mat. These are useful because you can control the humidity as well as controlling the root zone temperature. The seedling box is designed with two trays and a vented lid. The vents in the lid allow you to control the humidity and airflow in the box. The most common medium used for propagation are rockwool cubes, but you can also use jiffy discs. Both of these mediums can also be used for raising seeds. The basic technique for propagating is to soak the rockwool cubes in warm pH adjusted water, squeeze out the excess moisture once the cubes have expanded and place them on a seedling tray. Make a pilot hole in the top of the cube so it is easier to plant the cuttings. The cuttings should, as mentioned above, be taken form the newest and healthiest growth and have no more then 2-3 leaves. The cut, should at a 45 degree angle. Dip the cutting into a cloning gel or powder making sure to scrape off the excess. It is important that only a thin film of gel is placed on the “wound” as too much cloning gel can actually inhibit the roots from developing. Best practice technique for cuttings is to always make sure that whatever gel you use is poured into a separate container or lid and then disposed of once used. Never dip the cutting straight into the bottle as this will contaminate the whole bottle making it less effective for any future cuttings. Once you have applied the gel or powder, place into the rockwool cube. The pilot hole made earlier should make this an easy process. Once planted, place the rockwool cubes on the seedling tray and cover with the vented lid making sure the vents are closed. The next step is to place in a warm well lit area. Ideally you should have a heating pad, but in summer this is not always necessary. Make sure you have enough light, (if you don’t you can purchase a Propagation Light Set, see online shop) and leave the vents closed for the first week, checking the moisture of the cubes periodically. Don’t let the cubes dry out, but also do not be tempted to over water them. Over watering is the main reason for failed cuttings. Keep the cube moist but not saturated and you should have good success. After a week, or when you see the roots staring to develop, open the vents slightly and gradually increase the airflow through the box. Continue opening the vents over the next few days until they are fully open. At this stage roots should be developing well. Once they are fully developed you can remove the lid and gradually acclimatize the cuttings to what will be their new environment, be that outside or in a grow room. It is very important that the transition from cutting stage to transplanting is done gradually to ensure best success. It is no good taking a newly developed cutting and placing them in direct sunlight or artificial light, such light is simply too strong. You are much better off placing them in a sheltered position and gradually increasing the amount of full light/sun they receive. To understand Gardening Indoors, it is important to understand that in choosing to garden this way, you are attempting to duplicate what occurs in the natural world in a confined space. In the natural world plants need light, air, water and food to survive. In the absence of natural light artificial light must be used. It is extremely important to have your indoor gardening area well designed. A well designed room means that you will have fewer problems with diseases and pests. As a DIY project, a simple greenhouse is simply an area outside that gets good sun, and can be covered and protected from wind rain and extremes of hot and cold temperatures. Once the ideal spot is found, greenhouse film and fixtures can be purchased to suit the area. As well as this, entire hobby greenhouses can also be purchased. These hobby greenhouses are made to order and as a result come ready to assemble. In a Greenhouse, you are attempting to control the total growing environment of the plants. This includes temperature, light, airflow and of course food. The benefit of gardening in a greenhouse for both the hobby and commercial grower is the ability to grow crops out of season as well as in greater numbers per square metre. What is a Fodder Farm? Fodder farms are essentially growing chambers designed to produce fodder for livestock. The main selling point is the efficient use of water and fresh nutrient rich end product. One of the most efficient fodder production systems on the market today is based on NFT system. 225mm x 80mm channel is used to grow barley or wheat grass for cattle feed. The expense of the system depends on the number of cattle needing fodder. On average 1kg of Barley will produce 8kg of fodder and harvest is weekly This kind of system is also suitable for growing wheat grass or sprouts for juices and food. FNG is committed to supporting our indigenous brothers and sisters and other communities across the country, that most certainly includes putting our environment first. We are firm believers in the concept of 7 generations. As an Indigenous Organization, we understand that we are merely caretakers of this land for those that follow. When we engage a project we continually ask ourselves “what will the impact of this project be to those that come 7 generations after us?” This allows us to make inclusive and responsible decisions about our projects and opportunities. At FNG we continually engage emerging technology, with the goal of remaining technologically advanced, in the best interest of the environment and our First Nations/Inuit partners. We include renewable energy resources for both ‘community-owned’ projects and third party-owned facilities, whose power-source can be shared by a community in our comprehensive planning process. “Renewable energies” is an important concept worth serious consideration for each individual 4seasons Community Garden Farming project. We work in partnership with local indigenous communities and technology innovators to help the poorest and most marginalized communities set up practical and renewable energy community and facility resources. This partnering allows us to assist in meeting the real needs of each community, as we service each Community Garden Farm Facility with innovative technologies. We then make this technology available to each and every First Nation and/or Inuit community that we work with across Canada, creating a cohesive relationship between community, environment and each 4seasons garden farming facility. The primary purpose of an FNG SHARED SOLAR POWERED FACILITY is to allow members of a community the opportunity to benefit from the use of solar power even if they cannot or prefer not to install solar panels for themselves. Partner Communities benefit from the electricity surplus generated by the solar/wind powered community garden farm facility, which can cost significantly less than the price they would ordinarily pay to their utility or fuel provider. There are many reasons why a community would go solar, but improving the environment, cutting energy costs and taking control of their communities futures are the most common. Many are aware that solar is a key factor in taking control of the growth of their community, a great community efficiency upgrade and a significant factor in reducing their energy costs and are eager to reduce their carbon footprint. Motivations for going solar are economic, environmental, and or personal. Solar energy is good for you and your community and becoming more popular than ever. Whether you’re a remote indigenous community, a homeowner, business, or nonprofit, electricity and diesel fuel costs can make up a significant portion of your monthly expenses. With a solar panel system, you’ll generate power for your system’s entire life-cycle. Even if you don’t produce 100 percent of the energy you consume, solar will reduce your utility, electrical, and or diesel fuel costs and you’ll still save a lot of money. Solar panels aren’t an expense – they’re one of the best ways to invest, defraying the outbound costs of a community, with returns rivaling those of more traditional investments like stocks and bonds. Thanks to substantial electricity bill savings, the average Canadian pays off their solar panel system in seven to eight years and sees an ROI of 20 percent or more over the life-cycle of the system. One of the most clear cut benefits of solar panels is the ability to hedge utility prices. Solar energy also delivers environmental benefits. Many homeowners, businesses and non-profits go solar because they are focused on minimizing environmental issues like climate change and health problems related to carbon emissions. The electricity that solar panels produce is completely emissions free. When you use renewable solar energy to meet your energy needs, you reduce the demand for electricity and or diesel fuel consumption from your utility. As a result, your utility plant emits less carbon when producing the power needed to meet demand. Depending on the resources that your utility uses to produce energy — many are still reliant fossil fuels like electricity, diesel fuel and coal—the impact of your decision to go solar and or wind could be very significant in favor of our environment. Solar power systems can produce electricity for 25 or more years. Most solar panel manufacturers offer a 25-year power production warranty guaranteeing that their solar panels will continue to generate electricity at a certain capacity for the warranty’s duration. Solar power systems are practically maintenance-free. Solar panel systems are incredibly durable. Except in extreme circumstances, they don’t need to be washed or cleaned. Solar panels can be installed almost anywhere throughout North America. Most locations in the Canada get enough sunlight to produce sufficient electricity from solar panels. The most important factors to consider when you evaluate your solar panel / wind options are the rates you pay for electricity and or diesel fuel and the rebates and incentives available to you. Solar power systems can eliminate most of your electricity bill. Our FNGLP solar powered community garden farming facilities, with the right planning, can generate enough electricity to meet your entire communities annual utility needs. Waste management is all about how to dispose of all he things you don’t want. Where most think Waste Management – FNGLP is thinking Waste Minimization and Sustainable Materials Management. First Nation Growers believe everyone has the right to live and work in a clean environment. Because of remoteness and in some cases low incomes, many indigenous communities feel they have no to limited options to safely and securely improving their waste management and collection methods. FNG Community Garden Farming through our own commitment to each project sustainable materials management practices bring improvements to the health of the communities that we work within and the creation of a safer healthier place to live and work. Ultimately, the goal of our FNGLP recycling program is to maximize the recyclability of our own community garden farming materials while minimizing waste. Affluent societies often see it plainly as garbage or an environmental problem, but in many communities waste can be an important and flexible source of income and can provide raw materials to many other sectors of the economy. One of our FNGLP goals is to remain technologically advanced in the best interest of the environment that includes providing innovative project technologies in waste minimization management resources that we also make available to each and every First Nation and or Inuit community that we work with across Canada, creating a cohesive relationship between community, environment and each 4seasons community garden farming facility. Composting is an important FNGLP sustainable waste management practice that converts any volume of accumulated organic waste into a usable product. When organic wastes are broken down by microorganisms in a heat-generating environment, waste volume is reduced, many harmful organisms are destroyed, and a useful, potentially marketable, product is produced. Composting is a process by which organic wastes are broken down by microorganisms, generally bacteria and fungi, into simpler forms. The microorganisms use the carbon in the waste as an energy source. The degradation of the nitrogen- containing materials results in the breakdown of the original materials into a much more uniform product which can be used as a soil amendment that FNG makes use of in our vertical grow rooms. Advantages of composting include reduction of waste volume, elimination of heat-killed pests, and the generation of a beneficial and marketable material. Adding compost to soil increases organic matter content. This, in turn, improves many soil characteristics and allows for the slow release of nutrients for crop use for subsequent years. Recycling and waste management is implemented as a resource management system, not a waste management system. Today the approach that is considered a “best practice” is to view recyclables as commodities that are managed under a resource management system consistent with management frameworks such as “sustainable materials management” and “zero waste”. Strategic planning offers the opportunity to deliver sustainable improvements to local waste management practices because it can respond to the ever changing waste and recovered materials markets. FNGLP takes a collaborative approach. Community-Private Partnerships for service delivery is one of the proven approaches to resource management planning. The main objective of the program is to promote sustainable, self-supporting partnerships between each Community Garden Farm Facility and local indigenous governments to support the formation and operation of new enterprise-community co-operation in solid waste minimization and management and recycling systems. The main goal of the program is to stimulate co-operation between facility operations and community stakeholders that: contributes to sustainable improvements of recycling and solid waste management; minimizes negative effects of waste in indigenous communities; and improves the lives and livelihoods of Canada’s 1st peoples and the indigenous communities FNG work with and in. FNGLP is committed to supporting our indigenous brothers and sisters and our communities across the country, and that most certainly includes putting our environment first. We are firm believers in the concept of 7 generations. As a Indigenous Organization, we are merely caretakers of this land for those that come after us. When we engage a project we continually ask ourselves “what will the impact of this project be to those that come 7 generations after us?”. Although seemingly repetitive, understanding that we are merely caretakers of this land, it allows us to make inclusive and responsible decisions about our projects and opportunities. We work in partnership with local indigenous communities to help the poorest and most marginalized communities set up practical and sustainable water, sanitation and hygiene natural water treatment projects that meet their real needs, naturally, and service each Community Garden Farm Facility with the very same natural water treatment technologies that we make available to each and every First Nation and/or Inuit community that we work with across Canada, creating a cohesive relationship between community, environment and each 4seasons community garden farming facility. First Nation Growers community water projects include four vital and inter-related components, which taken together help to maximize health and development benefits. Clean water, basic sanitation, hygiene education and natural foods farming are the ABCDs of project development—the building blocks towards a better future for every community, making water fit for community garden farming and human consumption. 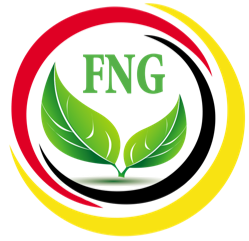 FNGLP uses practical, locally-appropriate, cost-effective, new, and innovative natural water treatment technologies so to ensure that operational maintenance requirements for the new water supply and sanitation facilities can be easily learned and adopted by each local indigenous community regardless of geographical location. All aspects of First Nation Growers Community Garden Farm projects are designed and implemented with long-term sustainability in mind. This means that upon completion of each project, community members are equipped with all the tools and knowledge required to manage and maintain their own natural water treatment and new community garden farming facilities at prices all can afford. FIRST NATION GROWERS Community Garden Farms address the natural water treatment needs of each and every community project across Canada regardless of location and or isolated remoteness. The FNGLP Natural Water treatment platform allows for the integration of clean water supply into any remote indigenous and or Inuit community Canada wide and allows for the control of multiple tower flows, increasing overall efficiency and access to a clean, natural water supply for every 4seasons Community Garden Farm. Power supplies are the workhorses behind all electronics and electrical equipment in every community. They come in numerous varieties to fit the gamut for the systems they power. The race towards smaller, greener and cheaper power supply designs is more intense than ever before. Higher efficiencies, higher power densities, time to market, standard requirements and cost reductions are impacting designs and designers alike. Designing a power supply is a complex process. When and where FNG can, we try to augment a part of the indigenous communities energy needs within our own FNG Community Garden Farm Facility. We continually engage emerging technology with the goal of remaining technologically advanced in the best interest of the environment and our indigenous partners. We include renewable energy resources for both ‘community-owned’ projects and our third party-owned facilities, whose power-source can be shared by the entire community in our comprehensive planning process. “Renewable energies” is an important concept worth serious consideration for each individual 4seasons Community Garden Farming project. We then make this technology available to each and every First Nation and/or Inuit community that we work with across Canada, creating a cohesive relationship between community, environment and each 4seasons garden farming facility. The International Energy Agency has projected that, in the absence of new actions, there will be one billion people lacking access to electricity in 2030. Most of those people live in remote communities world wide, far away from utility grid. It is usually impractical or uneconomical to extend utility grid to those dispersed populated areas due to the prohibitive costs of constructing the network. Therefore, electrification of those communities is primarily covered by standalone diesel generators. However, problems from diesel based power supply such as pollution and high fuel cost, have attracted extensive public consideration of locally available renewable energy (RE) resources to supply power. Advances in RE technologies and rise in cost of diesel make the RE systems to become increasingly popular, notably in remote areas. At the same time, some inter-related initiatives are also carried out to promote the RE utilization not only by the government but also the power supply companies. Recent studies suggest that a stand-alone RE system can provide a cost-effective alternative to the expensive grid extension or diesel electrification. In addition, renewable and nonrenewable energy sources have remarkably different economic characteristics. The high initial capital cost possibly is still the biggest barrier to RE promotion, while conventional power such as diesel tends to have high operating cost. Therefore, a trade-off between renewable energy and conventional energy should be carefully considered with respect to the life-cycle cost, environmental conservation and technical feasibility. The results of a hybrid solar–wind–battery backed-up-diesel re evaluated with an elaborate analysis in terms of power supply quality, life-cycle cost, and greenhouse gas emission. The motivation of this study is try to examine all possible power supply solutions, including renewable and non-renewable power generation. Therefore eight possible power generation options in total are investigated, including a combined hybrid RE and diesel system with storage and without storage. Therefore, a diesel generator is included to make a hybrid RE and diesel system. The diesel generator provision can ramp up and down, to accommodate the intermittent output of RE. One advantage for including a diesel generator is the significant decrease in storage capacity of the battery bank, the PV capacity and wind turbine (WT) capacity, hence reducing system cost and improving power supply reliability, whilst an optimal combination of PV, WT and batteries can limit the fuel consumption of the generator. The schematic diagram of a hybrid solar–wind–diesel–battery system, solar and wind resources typically provide bulk energy, whereas diesel generator is performed as backup. The PV and WT produce DC power, which is converted into AC power by the converter to serve the load, and the remaining power will be used to charge the battery bank. When the RE output cannot meet the load demand, the dispatch-able components (battery and diesel generator) will be launched. The converter is bidirectional, not only converting the DC power from RE and batteries to AC power for serving the load but also converting the diesel surplus AC power to charge the battery. Each FNGLP Community Garden Farm must determine the communities power resources in order to move forward, full knowing that the goal of each FNGLP Community Garden Farm is to be self-powered-self-sustainable, providing excess power generated to community we are working with.